Smart and simple advice on updating your foundation, lipstick, mascara and more. Break out of your makeup rut and spring-clean your cosmetic pouch. Beauty pros share these smart and simple advice on updating your foundation, lipstick, mascara and more. 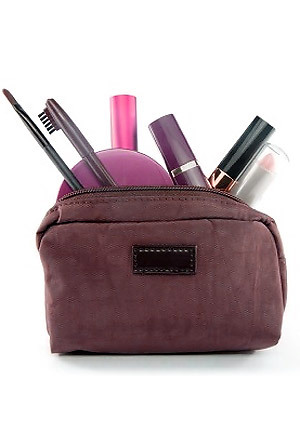 First things first: Empty your makeup pouch of all its contents and use an alcohol wipe to clean every compartment. Bacteria and dirt that harbor in the bag's interior can cause nasty breakouts and skin allergies so it's essential you regularly clean it out to prevent contamination of your makeup. Ditch your cosmetic case and get a new one if it is too old or difficult to clean.